Yeimi Santana is a personal finances specialist and mom who helps other moms to prevent or break free from domestic financial abuse in their lives. 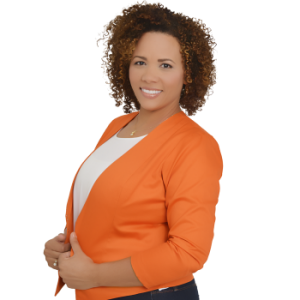 Yeimi is a keynote speaker, panelist, and trainer, passionate to raise awareness and train moms in the topics of finances, improvement and family. She helps moms who have been victims of financial abuse to become financially self-sufficient, by empowering them to look at the mirror and choose the woman they want to become and work confidently toward their vision, so they can improve and succeed in womanhood, family and finances on their own terms, even without their partner´s support. Yeimi believes that being financially self-sufficient moms can be more confident to embrace their present and future, taking charge of their families and their own lives. Born and raised in the Dominican Republic, Yeimi lives with her loving husband and her three children, whom she remarks as her three bigger blessings.